A Year of Being Here: Rhoda Neshama Waller: "Spring Comes to Maine"
late afternoon, just past the east window. warm sun, after a week of rain, hail, snow. deep green of fir, the changing moments pass. The daffodils are opening in the grass. "Spring Comes to Maine" by Rhoda Neshama Waller. Presented here by poet submission. 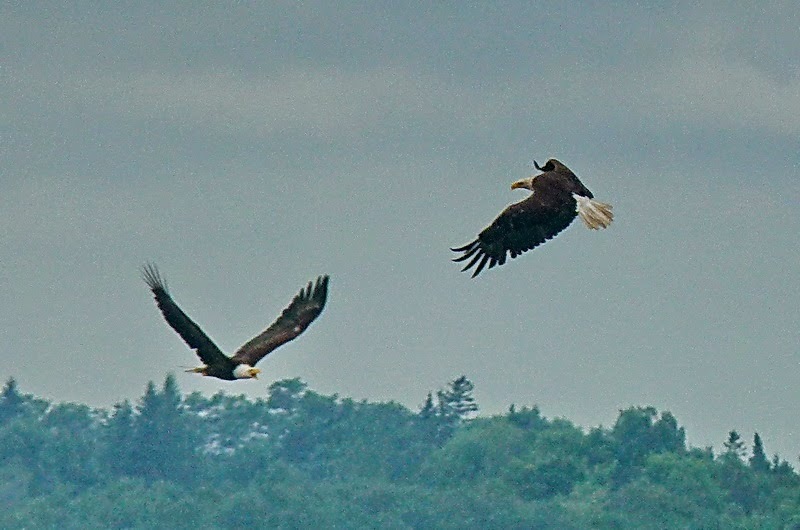 Art credit: "Two adults from the local Bald Eagle family," photograph taken August 19, 2012, near Pembroke, Maine (USA), perhaps by Claus Holzapfel. Bravissima! I love the way this poem is rhymed, subtly, almost casually in its skill. A beautiful sonnet.